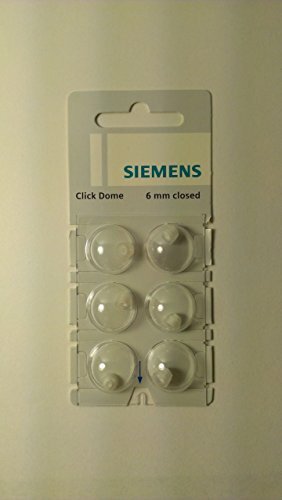 Siemens Click Domes, 6mm Closed For RIC Hearing Aids - 6 Domes Each. Keep your Siemens hearing aids in tip-top shape with these original domes. Don't forget to purchase the original Siemens RIC wax filters and Ray-o-vac or PowerOne batteries.